In today's Daily Mail a story has become front page lead, though don't ask me why. Corbyn, boredom, the Daily Mail's never ending search for redemption by pushing the holocaust over and over...? 'They refer themselves as 'revisionists', although they violate any historical method and their only objective is hatred. Perhaps these images make them see more closely the barbarism they defend. No matey it's not about hatred at all, it is though, about truth, something you and the rest of the holocaust dummies seem to have scant regard for. A few more pictures are added to make this story fly. BTW nothing in the pictures or the story prove the holocaust claims and once again they not only claim six million jews were holocausted into fresh air with no trace of them ever seen again but he then ups the anti to over ten million dead in the holocaust. Really?? What's interesting to me is the reason this guy colourised these pictures. He seem to be saying the deniers are winning this battle and that mustn't happen. To me this will just add fuel to the investigative fire of truth. Re: NEWS. 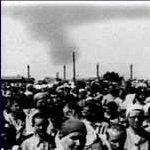 Article claims colourised pictures of holocaust make it more real to combat deniers! 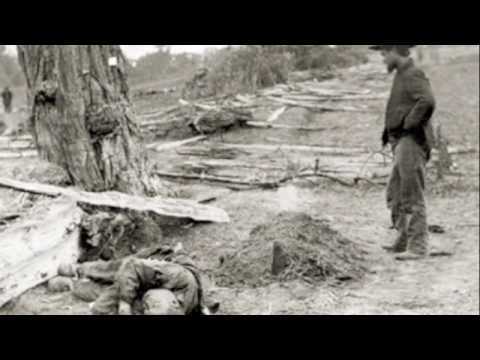 Absolute proof of the extermination of Jews .... during the US Civil War, at Andersonville Prison. Revisionists are just the messengers, the absurd impossibility of the laughable 'holocaust' storyline is the message. Reichswirtschaftsminister Funk did not know anything about any Jewish gold when he was asked by the judge in Nürnberg, he was surprised after having seen a film with golden teeth. Mr. Puhl, a director of The German Reichsbank, explained how US-soldiers came to the empty bank building in Frankfurt and ordered for him to give them bags with the Reichsbank's name on, and how they the next day came with the same bags full with gold and golden teeth, jewels and other valuables and demanded this to be lock into the strongroom. The strongroom was locked, cameras were set up, the strongroom opened and the bags fetched out and filmed. 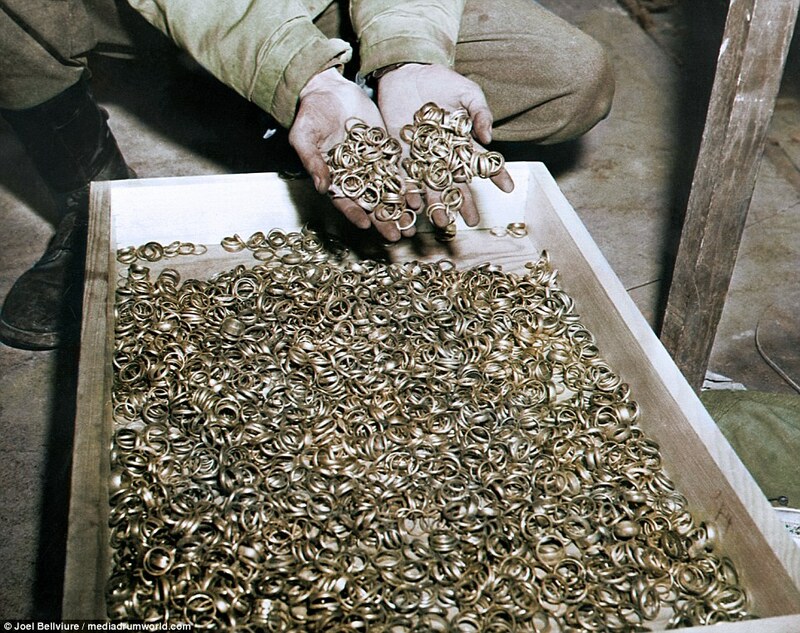 "During WWII, a single SS soldier amassed 1,640 pounds of gold from stolen jewelry and dental fillings". "Truth is hate to those who hate the truth." They show that edited in rifles pic that ushmm had on their site and took down after a while. Of course the majority of the photos are American and British ones of western camps. Which is 100% proven even by mainstream holocaust historians none of those was "death camps". All those photos of piles of bodies are a result of overfeeding and Typhus. Well you all know the whole story no need for me repeating it. Daily Mail: "But, But we colorized these photos so that proves the Holocaust even more. Yeah ha ha we beat you evil holocaust deniers. " borjastick, it seems they censored their own article as it is deleted? lmao wow. even web archive cannot restore it. Whatever they were trying to achieve, it backfired in their own faces as their own censor board went after them. 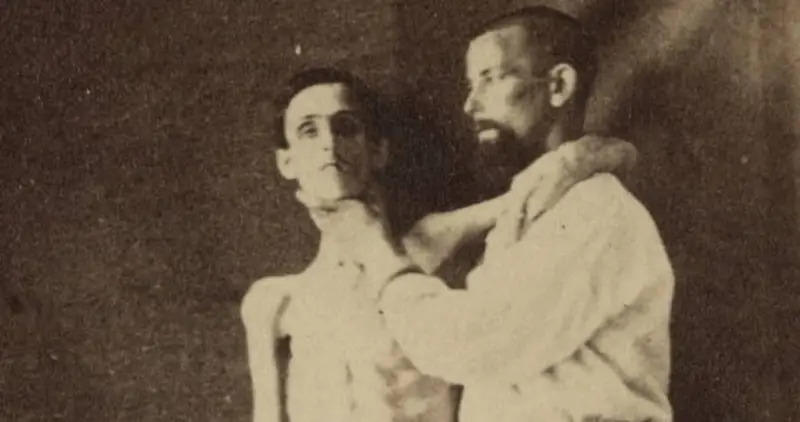 Either way, I love how they build the long-debunked and laughable strawman that "holocaust deniers" are somehow not aware of the heaps of corpses photographed in WESTERN camps. Nobody denies this. Revisionists deny 1) homicidal gassing 2) a plan for physical extermination 3) the supposed death toll of 6 million. 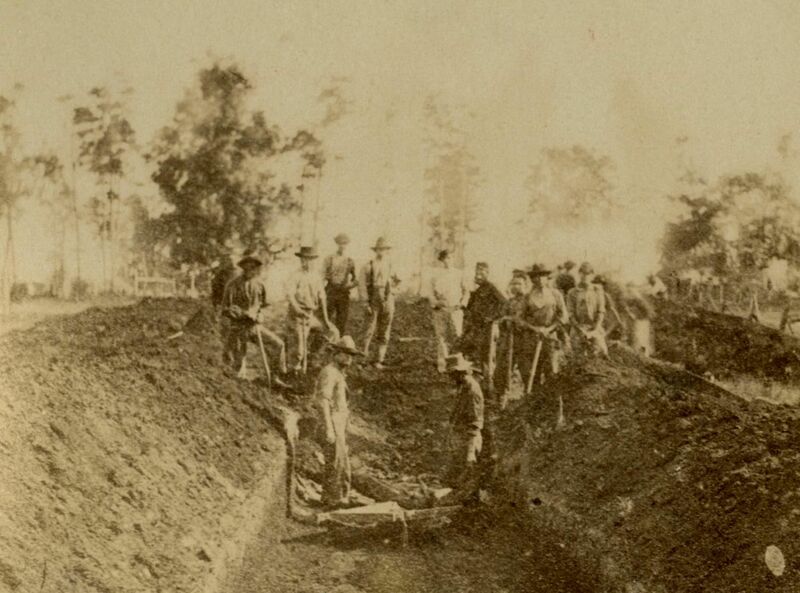 Color photos of western concentration camp dead do ***-all to challenge revisionist positions. Rogal Dorn wrote: borjastick, it seems they censored their own article as it is deleted? lmao wow. even web archive cannot restore it.